Almost everyone has a favorite super hero. Whether they have super strength or the power to fly, we all love to see our heroes prevail, preferably on the big screen lately. With Marvel Comic’s blockbuster movie The Avengers set to be released nationwide this Friday, an interesting question arises: Which current NHL players best represent these heroes? 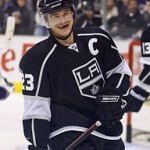 Captain America (Steve Rogers) – Dustin Brown, F, Los Angeles Kings – Trade rumors swirled around our captain’s head earlier this season as many expected our hero to lose his role as the Kings’ captain at the deadline. He stayed, however, and has been the super-soldier we all know and love since that time. 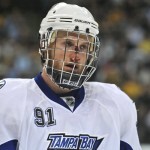 Brown led his eighth-seeded club to an upset over the dreaded Vancouver Canucks in an impressive five games. The Canucks proved their might by winning the league’s Presidents’ Trophy (given to the team with the most points in the regular season).Much like Captain America himself, Brown led the way in that series, including a three-point night in Vancouver to steal game two on the road. Now Brown faces another great challenge in the second seed St. Louis Blues, a series in which the Kings now hold a 2-0 advantage behind another three-point performance from the captain. For his underdog appearance, yet strong leadership and ability to lead his team (and being an American-born captain), Brown is a perfect candidate for Captain America. Iron Man (Tony Stark) – Martin Brodeur, G, New Jersey Devils – Iron man represented a tough challenge, as there are several different angles to choose from considering the character. In the end, the title belongs to Martin Brodeur. He’s worn the armor as long as any other goalie ever has and more often than not, his defense is impenetrable. He may not be the biggest or strongest hero out there, but Marty’s quick thinking and unfair arsenal of tricks has allowed him to be the savior in New Jersey for nearly two decades. Whenever the city needs him most, Brodeur shows up to save the Devils, even when many think he has lost the ability to fight, much like game seven this season against the opposing Florida Panthers when the NHL’s Iron Man outlasted Jose Theodore to claim victory for New Jersey. 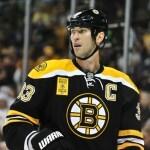 The Incredible Hulk (Dr. Bruce Banner) – Zdeno Chara D Boston Bruins – The Hulk and Zdeno Chara, at times, are almost impossible to tell apart. With a record-breaking slap shot, our Hulk’s game is mostly one involving smart, defensive hockey. Once provoked, Chara transforms into an entirely different beast, with seemingly superhuman strength. If you don’t belive it, ask David Koci. Thor – Niklas Kronwall, D, Detroit Red Wings – Arguably no one has delivered more thunderous hits in the last few NHL seasons than Kronwall. Being the Norse god of thunder, Thor seems a very good fit for the Red Wings defenseman. Very skilled and intelligent, both are also capable of wiping the opposition out in a single blow. 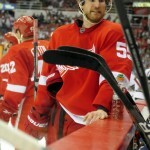 Many have challenged Kronwall in the past and very few remember the first few minutes after. With all that strength, who needs a hammer? A recent rival in Detroit history, the feared San Jose Sharks, saw his power first hand. A legendary goal scorer, Dany Healtley, met a cruel fate at the hands of the mighty Kronwall. Hawkeye (Clint Barton) – Steven Stamkos, F, Tampa Bay Lightning – The Avengers’ greatest sniper meets his equal in the NHL’s best goal scorer. Stamkos, just 22-years-old, shot his way to the 60-goal plateau, the first to do so since one of his nemesis, Alexander Ovechkin, accomplished the feat in the 2007-08 campaign. One thing is certain: Both of these heroes can hit any target they want. Black Widow (Natasha Romanova) – Evgeni Malkin, F, Pittsburgh Penguins – Portrayed by the lovely Scarlett Johnasson in the feature film, the NHL offers its own version of the world’s greatest assassin in Evgeni Malkin. Leading the NHL this season in points with 109 , the Pittsburgh forward spent most of his time defeating his competition before the games even started. To make matters worse, his crunch time numbers were among the best in the league, with his 10 game-winning goals second only to the previously mentioned Stamkos. 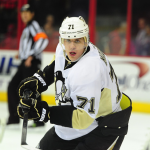 When there’s an opponent that needs to be taken out with deadly efficiency, Evgeni Malkin does it like no other. Nick Fury – John Tortorella, Head Coach, New York Rangers – Fury’s name says it all. The Avengers are an all-star group of crime fighters and they need someone bold enough to handle all the personalities in the locker room. 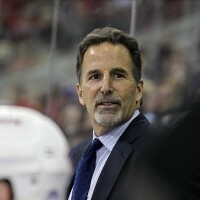 “Torts” has an impressive resume─leading the Tampa Bay Lightning to the Stanley Cup championship in 2004─so he commands respect from this group of players. As the league has often found out, he is also very quick to speak his mind. After an altercation with the Pittsburgh Penguins, Tortorella was fined $20,000 for comments. The Avengers are safe as long as Commander Tortorella is in charge. Loki – Raffi Torres, F, Phoenix Coyotes – As with all good super hero stories, this tale needs a villain. Look no further than Torres, who recently received a 25-game suspension for his dastardly hit on Chicago Blackhawks forward Marian Hossa. Torres has a reputation has one of the villains around the league and these Avengers will stop at nothing to try to keep the league safe from villains like him. There you have it. Anyone can appreciate the idea that super heroes and professional athletes alike are role models for all of us. Surely they also will share very similar qualities. The NHL Avengers will never rest until their sport is safe from villainy and benders alike. Also, thanks to Marvel Comics for developing such amazing characters that we’ve loved now for several decades. Hopefully the movie will impress just as these NHL playoffs have so far. 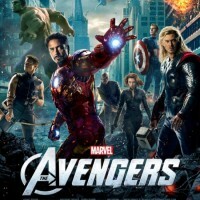 All Avengers images and video content credited to Marvel Comics.